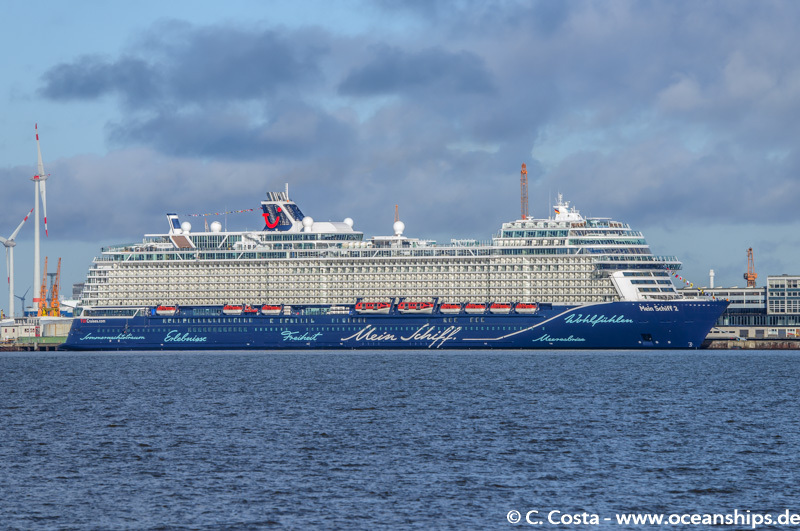 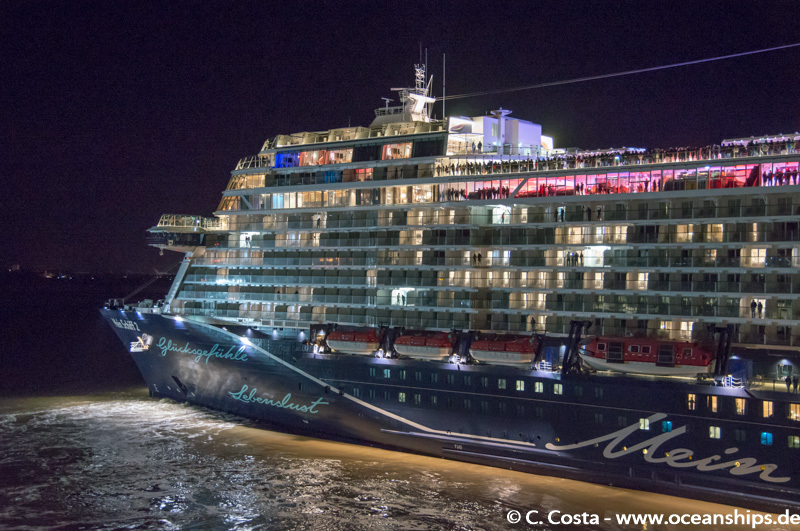 Brand new cruise vessel Mein Schiff 2 is moored in Bremerhaven on February 03rd, 2019. 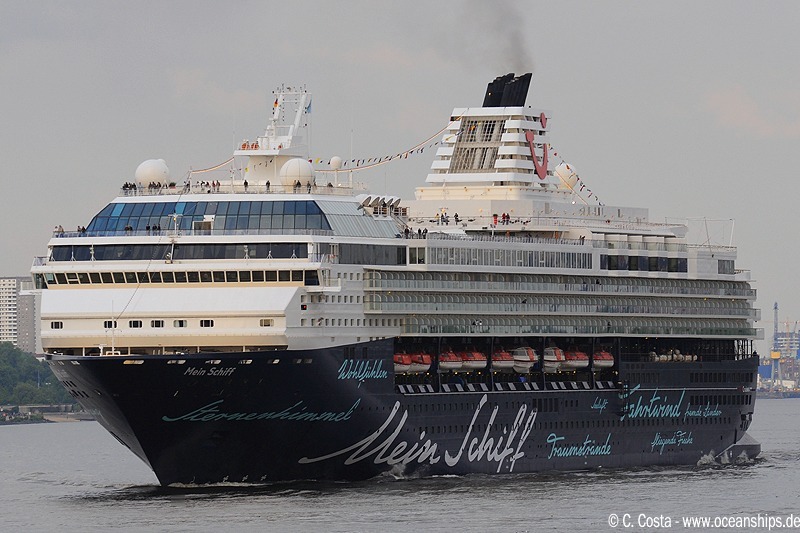 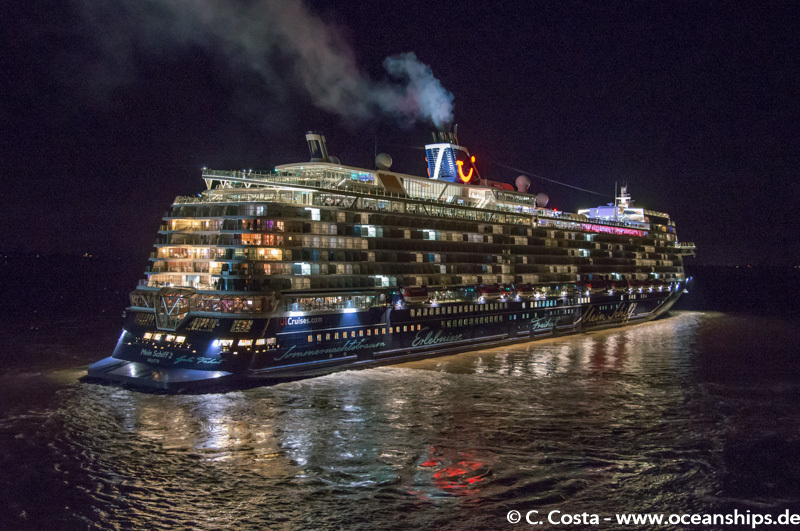 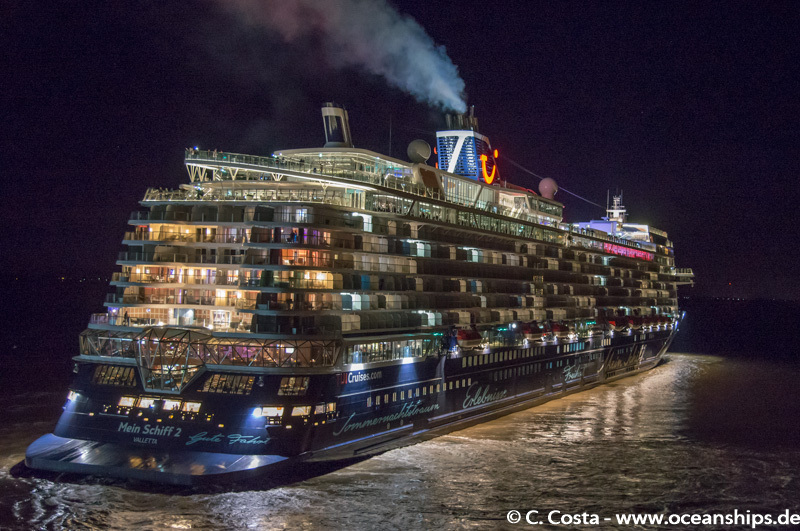 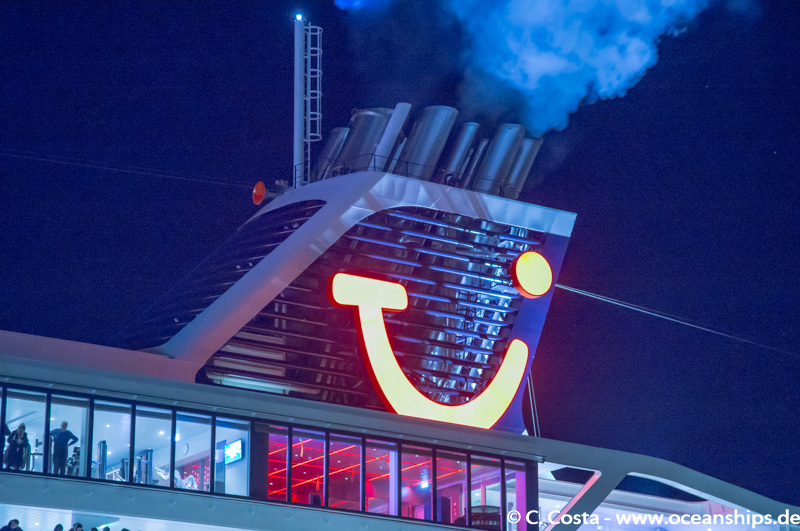 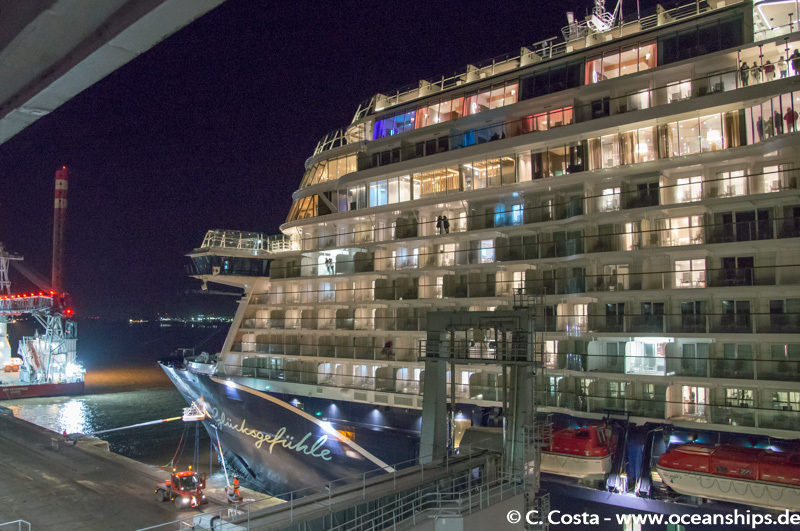 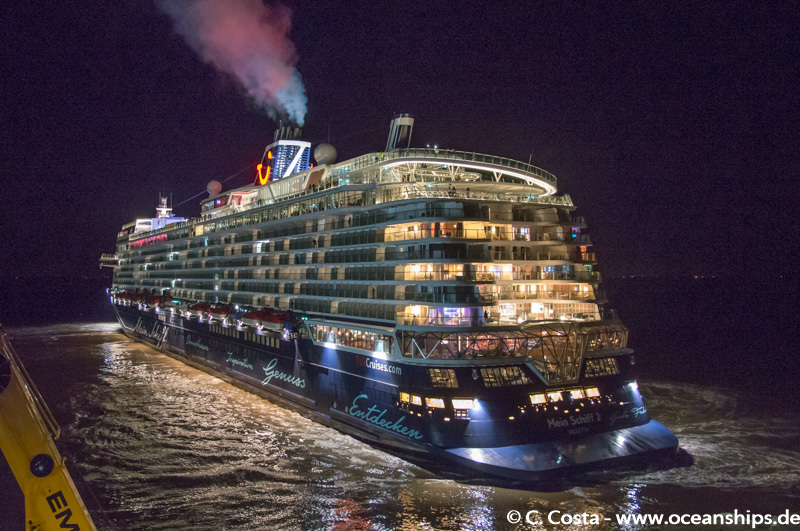 Mein Schiff 2 is leaving Bremerhaven in the evening of February 03rd, 2019 for her maiden voyage. 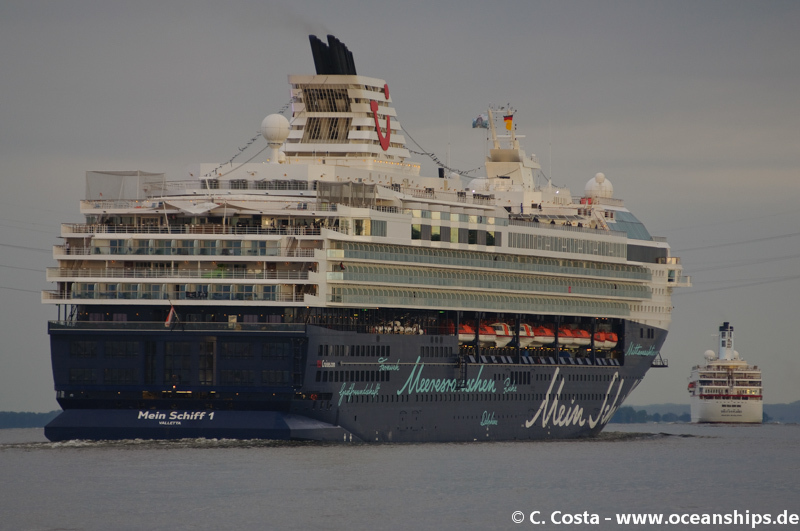 Cruise vessel Mein Schiff is leaving the port of Hamburg bound for Kiel on May 16th, 2009 during her first voyage for TUI Cruises. 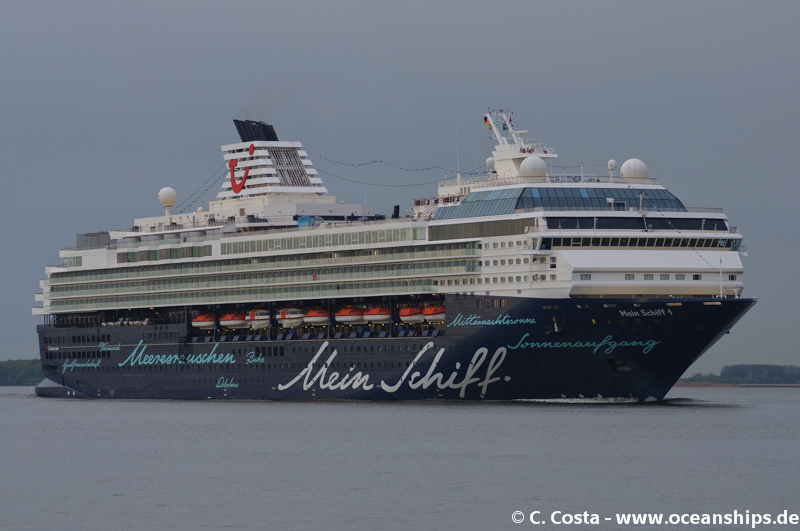 Mein Schiff 1 is passing Stadersand bound for Hamburg on May 11th, 2013. 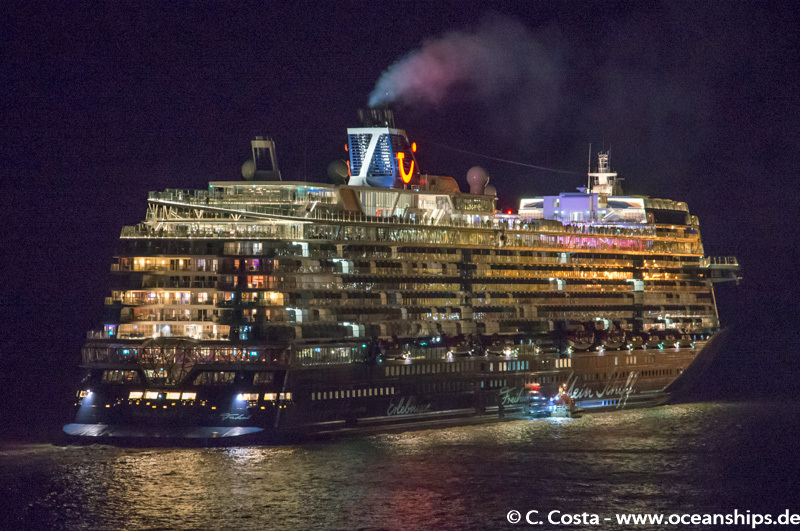 The vessel is seen during her first full metal cruise with almost 2,000 metal fans onboard. 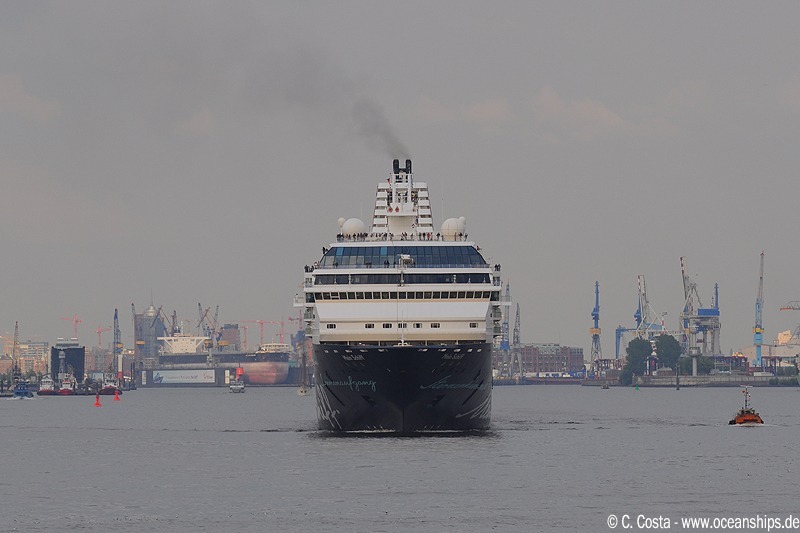 The sound was heard all over the river Elbe. 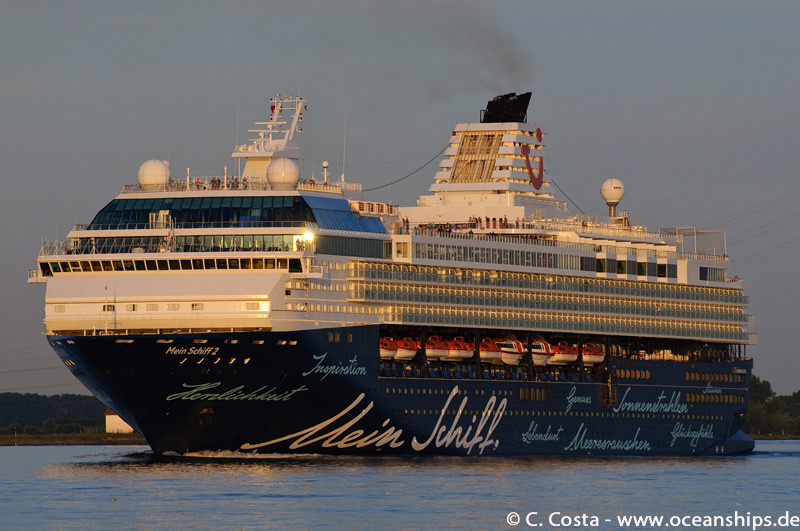 Cruise vessel Mein Schiff 2 is passing Stade in the evening of July 23rd, 2012. 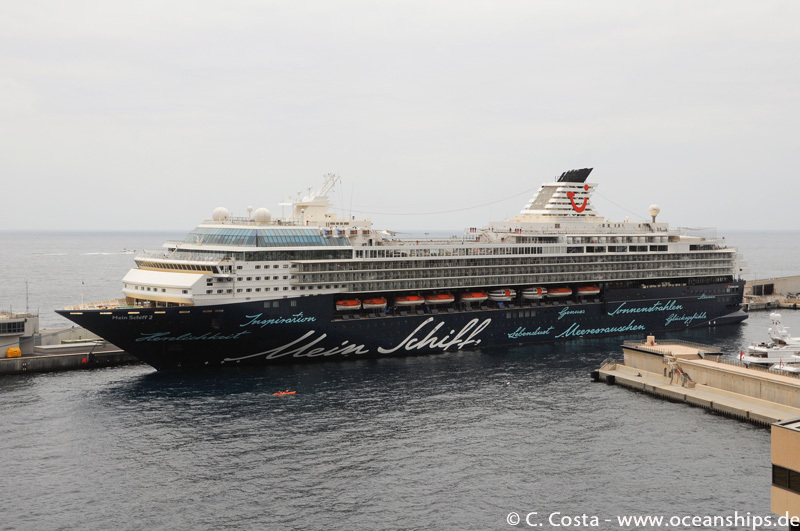 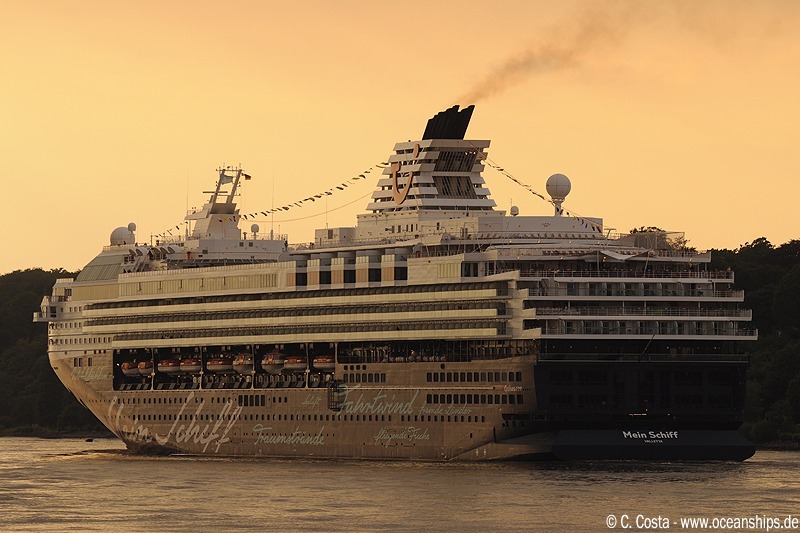 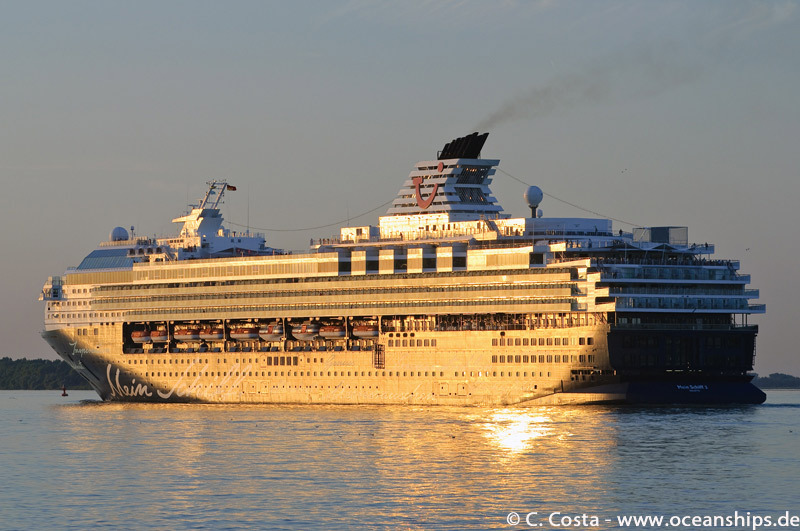 Cruise vessel Mein Schiff 2 is moored in Monte Carlo on June 11th, 2013.